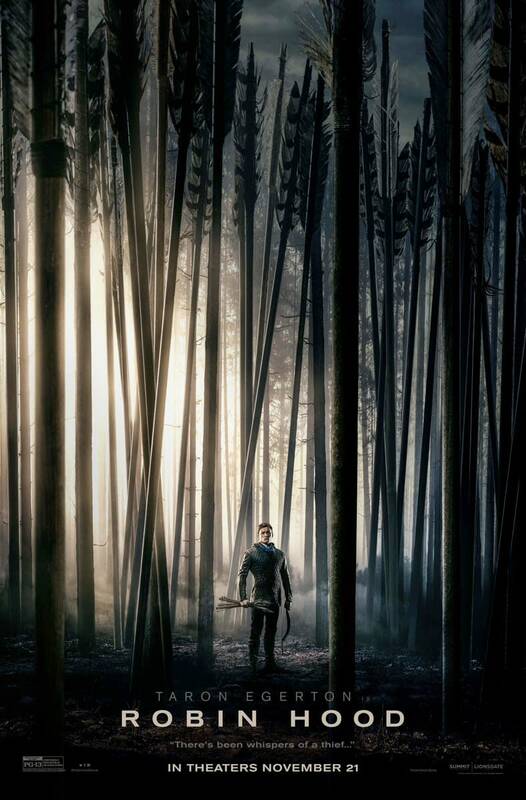 The first teaser, though it is more like a trailer, for Lionsgate’s Robin Hood remake (or reboot) has come out. It appears to be the same trailer that people who were at the CinemaCon presentation saw, and it still looks rather uninteresting. There isn’t much to say about this trailer aside from the fact that the explosions and what look like guns are probably going to make a lot of people really angry. There still doesn’t appear to be much to set this apart from any other movie though. Looking at the release date (which was recently delayed to November), there is a lot of competition. It’s opening the same weekend as Creed 2 and Ralph Breaks the Internet: Wreck-It Ralph 2, and it’s the weekend after Fantastic Beasts: The Crimes of Grindelwald. The following weekend it has to contend with Spider-Man: Enter the Spider-Verse and Mortal Engines. We also have a new poster, which isn’t quite as uninspired as the other two. Robin Hood, directed by Otto Bathurst, stars Taron Egerton, Jamie Dornan, Ben Mendelsohn, Jamie Foxx, and Eve Hewson. It will be released on November 21st.